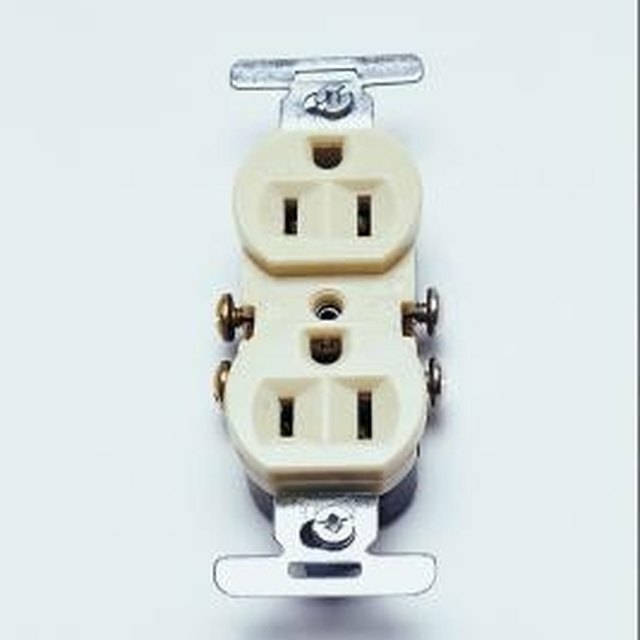 Three pronged electrical outlets were designed for appliances that use 220 volts and don't require a neutral wire. Any appliance with a digital readout or built in lights generally requires a neutral wire. In new residential housing, the 3 pronged outlet has been discontinued and replaced by a 4 pronged outlet that supplies two hots, a neutral and a ground to the appliance. You shouldn't replace a 4 prong outlet with a 3 prong outlet; instead, you should replace the three prong cord attached to the 220 volt 50 amp range with a 4 prong cord, so as to conform to section 250.138(A) or (B) of the National Electrical Code. Turn off the breaker controlling the 220 volt 50 amp outlet. It should be a 50 amp 2 pole breaker labeled "range" or "oven" in the electrical panel. Set your voltage tester on AC volts at the highest scale and test the outlet for power. Put the red lead from the tester into one of the two slanted holes in the outlet and put the black lead into the other slanted hole in the outlet. If the power is off, there should be no voltage. If you see any voltage reading on your tester, the breaker is still on and wrongly labeled. Remove the cover from the old 220 volt 50 amp 3 prong outlet with your straight tipped screwdriver. Remove the screws holding the outlet in the electrical box. Pull the outlet out of the box so that you can access the screw terminals where the wires attach. Loosen the three screws holding the wires onto the outlet. Pull the outlet off of the wires. Replace the old outlet with a new 220 volt 50 amp 3 prong outlet. Connect the two black wires to the brass screw terminals on the outlet. Connect the black wire with the white strip to the silver screw on the outlet. Tighten the connections with your straight screwdriver. Push the wires and outlet into the box and install the screws that hold in the outlet. Replace the cover on the outlet. Turn the breaker back on and test the outlet. Using your voltage tester -- still set on AC volts at its highest scale -- insert the red lead into one of the slanted slots in the outlet and insert the black lead from the tester into the other slanted slot. There should be 220 volts showing on your tester. With the red lead still inserted into the slanted slot, put the black lead into the rounded hole in the outlet. Your tester should now show 110 volts. Always turn off the power before working on electricity to avoid electrical shock hazards.